ormed in 1973, Vangura Tool has established itself as a complete and highly qualified machining service. VTI's skilled machinists, tool makers, welders, inspectors and owner management staff provides the unique versatility needed in today's machining industry. Some of our customers include: Bechtel Marine Propulsion Corporation, Bettis Atomic Power Lab (BAPL), Knolls Atomic Power Lab (KAPL), Bechtel Plant Machinery Inc. (BPMI) Pittsburgh and Schnectady, Babcock and Wilcox Nuclear Operations Group (B+W NOG), Precision Defense Services (PDS), Precision Custom Components (PCC), Curtiss-Wright Flow Control Corporation (Target Rock Division), and Westinghouse Electric Company Columbia. At VTI, we provide all types of precision-machined components, and offer complete welding and fabrication capabilities. We specialize in material test specimens such as compact tensions, charpy impact, and tensile tension, but also can accommodate components that weigh thousands of pounds. We also perform nondestructive testing, loadtesting and pressure testing, and with a large list of qualified sub-vendors. We can offer complete heat treat and plating capabilities. 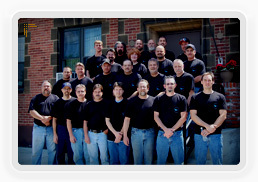 Vangura Tool, Inc. takes pride in our commitment to continual improvement in the quality of service and workmanship provided to our customers. We strive to consistently meet and exceed our customer and employee expectations in a timely, professional and personable manner. We will maintain a quality management system and associated services. All employees will be familiar with our quality documentation and implement our policies and procedures in their work. "Vangura Tool is my go-to vendor when I absolutely have to have high quality, first-of-a-kind project, completed on time and at a reasonable cost." © Copyright 2013 Vangura Tool Inc. All Rights Reserved.